Britain is not going to leave the European Union until at least 2019, according to investment bank Citi. 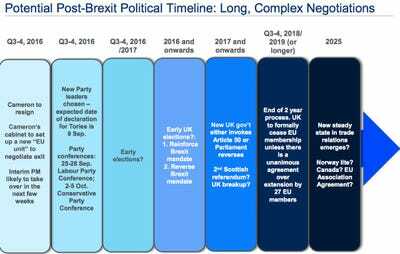 In a new note, entitled “Any Exit from Brexit? What’s Next for the UK and Europe” by Tina Fordham and Tiia Lehto at Citi, article 50 — the mechanism under the Lisbon Treaty in which a country tells the European Union it is leaving the bloc and thereby gives a two-year notice period — is unlikely to be triggered anytime soon because several things need to happen first. However, it also predicts that another Scottish referendum may happen. 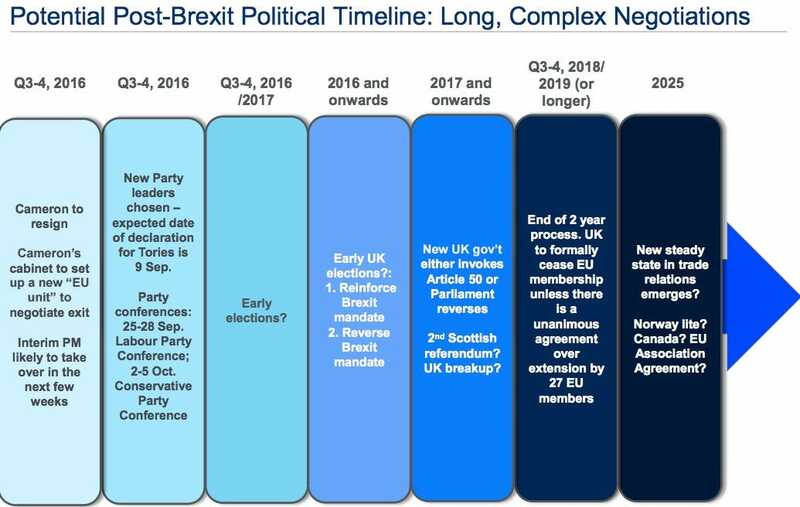 Citi’s prediction is not out of this world — Dr. Peter Catterall of Westminster University in a Facebook Live interview with Business Insider said on Monday that a Brexit was unlikely to happen until after a General Election.